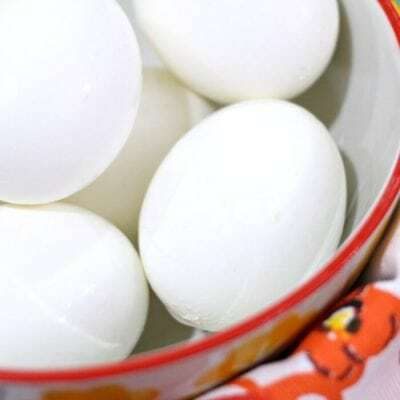 Instant pot hard boiled eggs are super quick and simple to make and they are so easy to peel! We already know how to make the best ever hard boiled eggs the classic way, but now that the instapot has taken us all by storm, how about learning how to make instant pot hard boiled eggs! 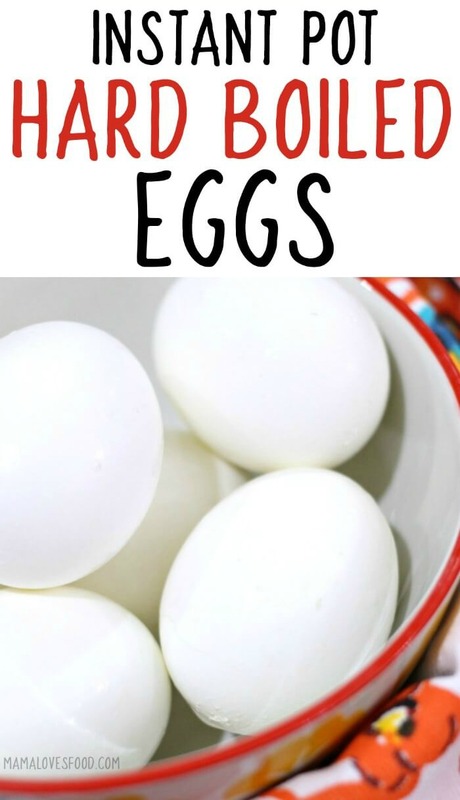 My kids love when we have a bag of hard boiled eggs in the fridge, and I love knowing that they’re grabbing a super healthy protein packed snack. Enjoy them as is with a dash of salt, or in your favorite egg salad with our refrigerator pickles! Eggs – If you have chickens that lay eggs, you’ll want to make sure that they have cured a while before hard boiling them. Instant pot hard boiled eggs peel easier than the average hard boiled egg, but it will still be tough to peel a super fresh egg. Water – I like to use filtered water. Especially in a super basic recipe like this where there are no other flavors to mask the taste of bad water. The last thing you want is your boiled eggs to come out of the instant pot tasting like chorine. Instant pot hard boiled eggs peel easier than any other hard boiling method that I’ve tried. Even easier than our classic hard boiled egg recipe! And that’s saying something, because I’m pretty darn proud of how easily those eggs peel! How long can you keep boiled eggs in the fridge? 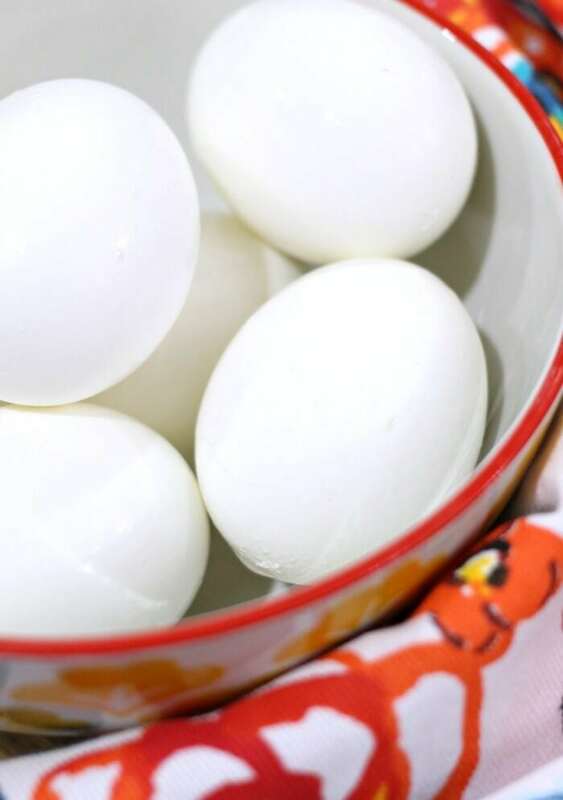 Hard boiled eggs, if refrigerated immediately, will last about one week in the fridge. This is true for both peeled and unpeeled hard boiled eggs. Make sure to note the date you boiled them on the storage container, or even on the egg itself if they are not peeled. 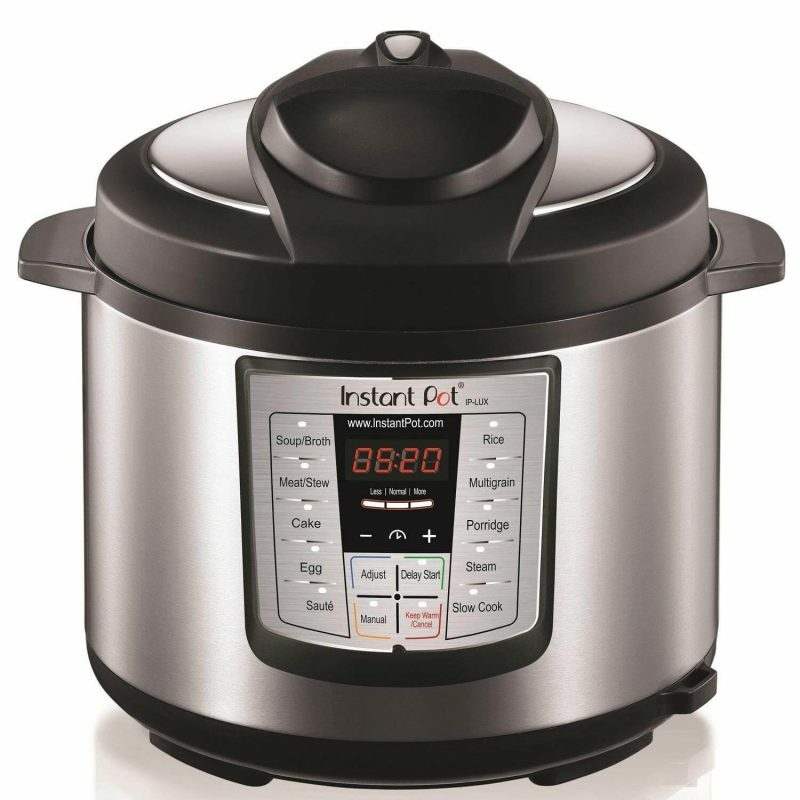 Instant pot – This is the basic 6 quart and the exact model you see me use regularly on our live show. I keep threatening to get the 8 quart, but it hasn’t happened yet. Steamer basket – This is the steamer basked I use in the bottom of my instant pot when we’re steaming eggs or vegetables. Spider strainer – I love this strainer for pulling out hot eggs or anything else that I don’t want my fingers near. Cabbage soup – This soup is super delicious and also healthy. Bonus! Instant Pot Balsamic pot roast – Would you believe the roast was frozen solid when I started the instant pot. Chili (No Beans) – Possibly my favorite recipe to make in the instant pot. You can also watch us make these instant pot hard boiled eggs on YouTube along with our make ahead chicken breast! Make sure to tune in for all our live cooking shows! Add 1 cup filtered water to the instant pot, then place your steamer basket inside (you can use the rack that comes with the instant pot, but a steamer basket will allow you to do more eggs). Place eggs into steamer basket. They do not need to be single layer, we have done as many as 18 in one shot. Secure lid and make sure the vent is toggled to 'sealing'. Turn on manual for 3 minutes. Natural pressure release for 10 - 15 minutes, then place eggs into an ice bath to halt cooking. This is what works well in our kitchen, but feel free to play with the times as needed to make your own perfect instant pot hard boiled eggs! I just purchased my first insta pot. It didn’t come with a steamer rack. Do I need this to make eggs?